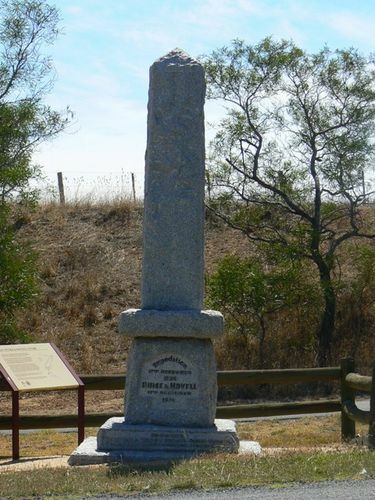 A monument commemorates the expedition of Hume and Hovell in 1824. Senator Wilson yesterday unveiled at Lara on the Melbourne Geelong road the last of a chain of cairns which make a permanent record of the historic journey of the Explorers, Hume and Hovell from the Murray to Corio Bay, 100 years ago. More than 1000 spectators assembled for the unveiling. The Argus (Melbourne), 18 December 1824.